Cigar City was founded in Tampa in 2007, a year after my family members inexplicably started moving to Florida. I'm not really sure why I keep going down there to visit my foolish relatives, but the beer certainly helps. The beer is really good! And It doesn't guilt trip you about coming down to visit more often. In fact, as of last week, Cigar City is now available in Massachusetts! No reason to ever go to Florida again! I suppose I'll still make the effort to see loved ones down south, but for the rest of you, here's Cigar City's celebrated flagship IPA Jai Alai. Bold, bitter, tropical, classic, and fresh. Be on the lookout for other beers from this brewery as they become available. Can you believe it? 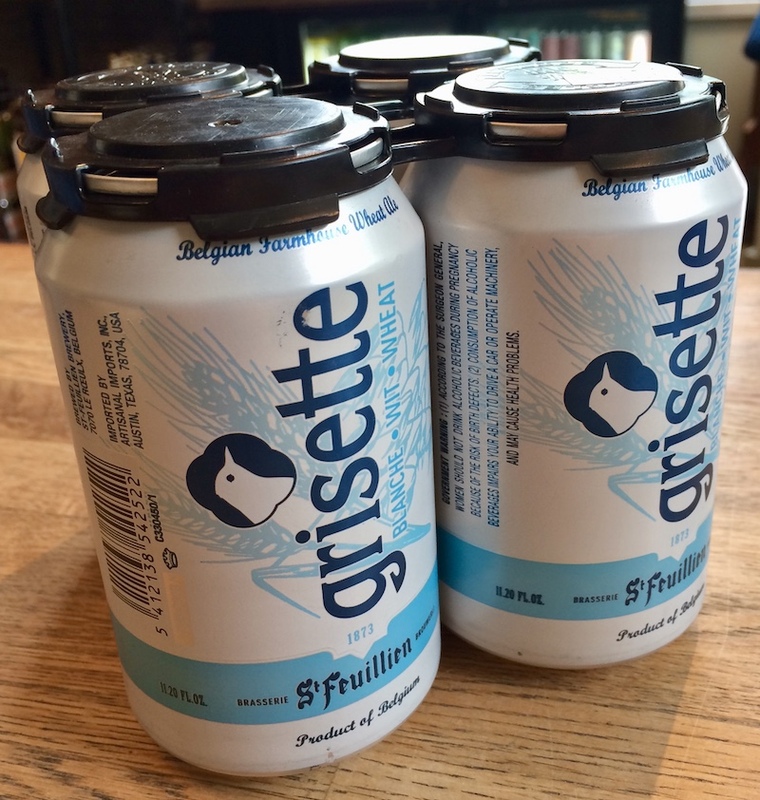 Belgian grisette in a can! If you believe the beer historians, saison evolved as a beer intended for the farmhand and grisette ("little gray") was one intended as a beverage for the miner. Grisettes typically are a bit lower in alcohol and lighter in body than their saison counterparts. This particular offering is a hazy, organic wheat based grisette made with St. Feuillien's artesian abbey well water. This is a great warm weather beer! We don't recommend mining. Located just outside of Portland, in Westbrook Maine, Mast Landing is one of the new breweries that fledgling Night Shift Distributing brings in on a limited basis. This week we were able to acquire a single case of three different beers from this brewery for the very first time. We're tossing a can of each beer into your pass this month. Somewhat surprisingly, Mast Landing's flagship beer is a milk stout, a not particularly en vogue style that is almost always associated with the Left Hand Brewery. This one is a bit lighter in both alcohol and body, but is in no way lacking in flavor. The other beers are an IPA and a double dry hopped pale ale. Hops! They're good! It can't all be milk stout. There are so many sour beers on our shelves these days, it can be easy to neglect the classics. This is one of the great beers of the world, a classic Flemish Red from a brewery that dates back to 1885. Though this particular brew has only been around a few decades, it was an attempt by the Verhaeghe brewery to stay true to their traditional brewing style at a time when lagers were becoming more prevalent. It was a success! Sweeter than some other offerings of this style, there is still a crisp dry finish that leaves you wanting more. Pucker up and give in!